Groningen, The Netherlands – Jansen&Heuning has delivered a crusher for bigbags to a customer in the Netherlands. It is the first machine of a new series, developed in-house. The crusher crushes raw materials in bigbags into useful products. With a pressure of 20 tonnes, the crusher breaks the content into small chunks. Two hydraulically controlled articulated arms – with 200 bar oil pressure – press the bigbag in eight steps. The program can easily be set with a touch screen. 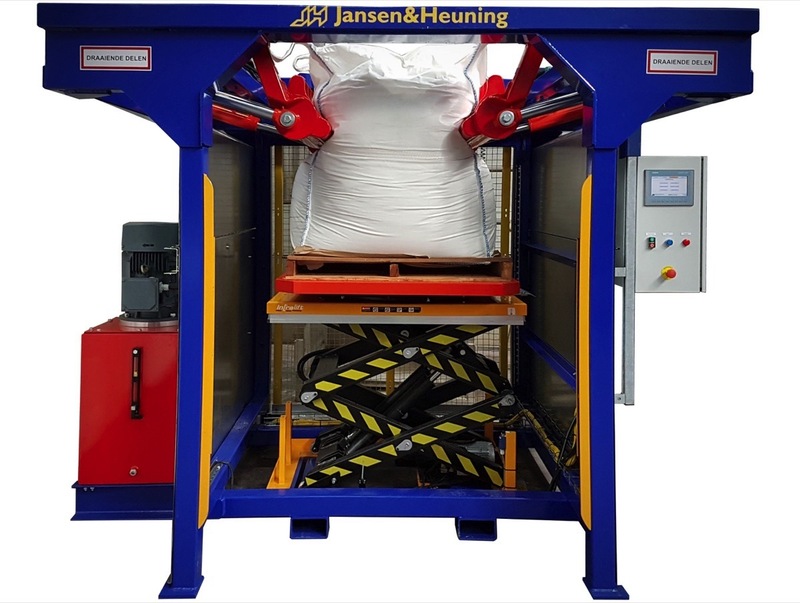 The customer located in Brabant crushes ten bigbags per hour and is very content with the Jansen&Heuning machine.